This is the perfect time to show everyone who reads Digidame what a “live blog feed” looks like. A “live blog feed” is a blow-by-blow description of news in the making. Bloggers go to an event and report the news in short sound bites. They constantly post info like they are writing for a news scroll on CNN. “Live blog feed” is also called “micro blogging.” People do it all the time on Twitter. 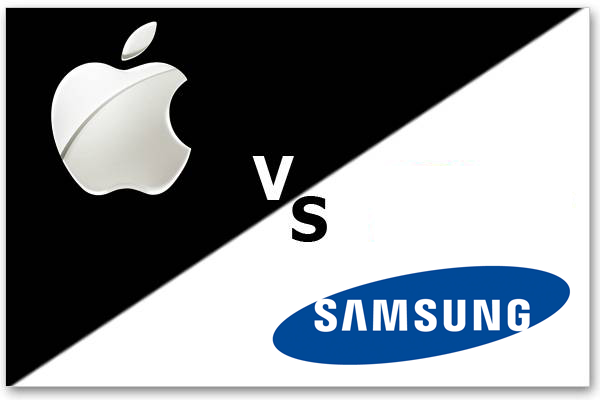 Today I was waiting for the verdict in the Apple vs Samsung case. I decided to watch the result on CNET, a popular tech site, because two reporters were situated in the courtroom in San Jose. They took turns pounding out the events as they were happening. We all now know the results. A jury awarded Apple more than $1 billion in damages after finding that Samsung infringed a series of Apple patents on smartphones and tablet computers. I started watching CNET on my laptop when I received an alert that the verdict was in. The following is how the events unfolded. Start from the bottom and work your way up to the final dollar award. It started at 6:37pm and ended at 7:13pm. The typos are real. No one stops to proof. 7:13 PM | by Josh Lowensohn Big win for Apple here today. 7:12 PM | by Josh Lowensohn Has Apple proven by a preponderance of the evidence that Samsung has violated Section 2 of the Sherman Antitrust Act by monopolizing one or more technology markets related to the UMTS standard? 7:10 PM | by Josh Lowensohn 941 patent – claim 10 – no. claim 15 no. 7:09 PM | by Josh Lowensohn iPhone 4 ‘516 patent NO. Claim 16 no. 7:04 PM | by Josh Lowensohn If you answered “Yes” to any of Questions 21-22, and thus found that any Samsung entity has infringed Apple’s unregistered iPad/iPad 2 trade dress, has Apple proven by clear and convincing evidence that the Samsung entity’s infringement was willful? 7:01 PM | by Josh Lowensohn Samsung Electronics Co. (SEC) – YES to fascinate, Si900, 4G, S2 Showcase, Mesmerize, Vibrant . NO to captivate, conntinuum, charge, Epic 4G, galaxy prevail, S2 AT&T, S2 i9100, S 2 Tmobile, S2 Epic 4G touch, SKyrocket and Infuse 4G. 7:00 PM | by Josh Lowensohn If you found the unregistered iPhone 3 trade dress protectable and famous, for each of the following products, has Apple proven by a preponderance of the evidence that Samsung Electronics Co. (SEC), Samsung Electronics America (SEA), and/or Samsung Telecommunications America (STA) has diluted the unregistered iPhone 3 trade dress? 6:53 PM | by David Hamilton Apple’s D ‘889 patent: Relates to the industrial design of a tablet computer. 6:50 PM | by Josh Lowensohn For each of the following products, has Apple proven by a preponderance of the evidence that Samsung Electronics Co. (SEC), Samsung Electronics America (SEA), and/or Samsung Telecommunications America (STA) has infringed the D’087 Patent? 6:49 PM | by David Hamilton The “yes” answers here, by the way, mean a finding of infringement by Samsung. 6:48 PM | by Josh Lowensohn 915 patent claim 8 – yes for captivate, conniuum, droid charge, exhibit 4g, fascinate, galaxy prevail, galaxy s 4g, S AT&T, Tmobile, Galaxy Tab 10.1, indulge, infuse 4g, nexus, transform and vibrant. No for replenish. 6:43 PM | by Josh Lowensohn Yes for captivate, fascinate Jx, galaxy previal, galaxy s, galaxy s 4G, galaxy SII i1900, Galaxy S2, Galxy Tab. Gem, Infuse, Mesmerize, NExus S 4g, Transform. 6:40 PM | by Josh Lowensohn Apple Inc. vs. Samsung Electronics Co LT, Samsung America Inc, Samsung Telecomm LLC. 6:39 PM | by Josh LowensohnAnd the foreman is a male, older. ID’d simply as juror no. 1. 6:38 PM | by Josh Lowensohn There’s a hell of a lot of room for error here, in case that isn’t clear. There are about 700 questions and other checkboxes that needed filling out. 6:37 PM | by Josh Lowensohn Okay, here we go folks.